US Vice President Mike Pence’s postponed trip to the Middle East goes ahead this weekend amid myriad tensions and a fast-shifting diplomatic landscape. Pence’s trip is a shortened version of the one planned for last month, which was abruptly cancelled when protests erupted at President Donald Trump’s recognition of Jerusalem as the capital of Israel. The vice president will meet Egyptian President Abdel Fattah el-Sisi and Jordan’s King Abdullah II tomorrow (20 January), and Israeli Prime Minister Benjamin Netanyahu and President Reuven Rivlin in Jerusalem the next day. “At President Trump’s direction, the vice president is travelling to the Middle East to reaffirm our commitment to work with the US’s allies in the region to defeat radicalism that threatens future generations,” Pence’s spokeswoman, Alyssa Farah, said. However, Palestinian leaders and the Coptic Pope have refused to meet Pence, and the West Bank leg of his trip is no longer on his itinerary. “One of Pence’s top priorities on this trip had been to engage with Christian communities in the Middle East. But key Christian leaders in Egypt will not meet with him because of their opposition to the Jerusalem announcement,” wrote Ilan Goldenberg, a Middle East special adviser under former Secretary of State John Kerry on the website of US-based Foreign Policy. 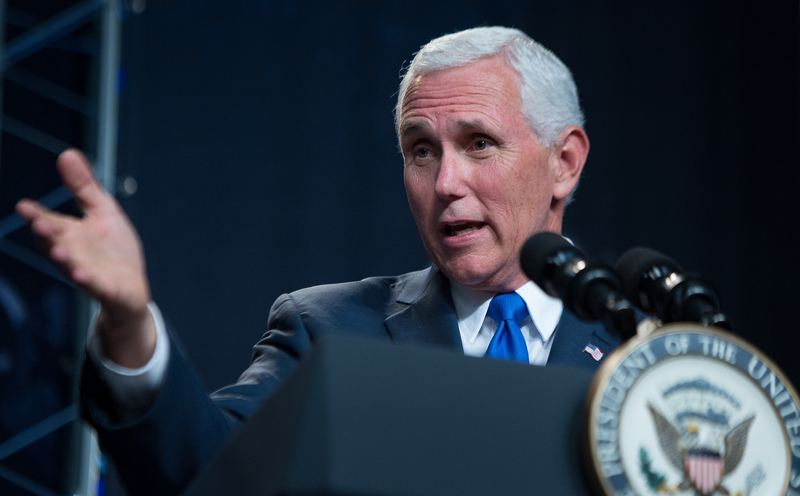 “And Pence’s request to visit Bethlehem and tour the Church of the Nativity has also been denied by religious leaders,” he added. The cancelled plans from last month, shortly before Christmas, included an elaborate visit to Bethlehem’s Manger Square in front of the heads of Middle Eastern Churches, travelling via the compound of Palestinian President Mahmood Abbas. A visit to the Church of the Nativity was reportedly also discussed. And, according to the UK’s Guardian newspaper, one of the items on the agenda for Pence’s cancelled meeting with Abbas was formal recognition of the status of some Evangelical churches. Pence has made his concern for Christians living in countries where religious persecution occurs well known. However he is widely regarded as having been the reason behind Trump’s recognition of Jerusalem, to keep Evangelical voters on side. This decision angered many Arab Christians in the Palestinian Territories and Egypt, leading commentators to question whether Trump was widening a rift between the Evangelicals and Middle East Christians. Pope Tawadros II, head of the Cairo-based Coptic Church, said Trump’s Jerusalem decision paved the way for “the Judaization of Jerusalem and wiping away [of] the holy city’s pluralist nature”. This week he attended The Al-Azhar International Conference to Support Jerusalem at Cairo’s Al-Azhar University, the seat of Sunni learning, alongside senior Arab, Islamic and international figures from 86 countries. Another Christian leader who spoke at the conference was the Secretary-General of World Council of Churches, Olav Fykse Tveit, who warned that the Jerusalem announcement “creat[ed] more serious obstacles for just peace”.